Arrr! 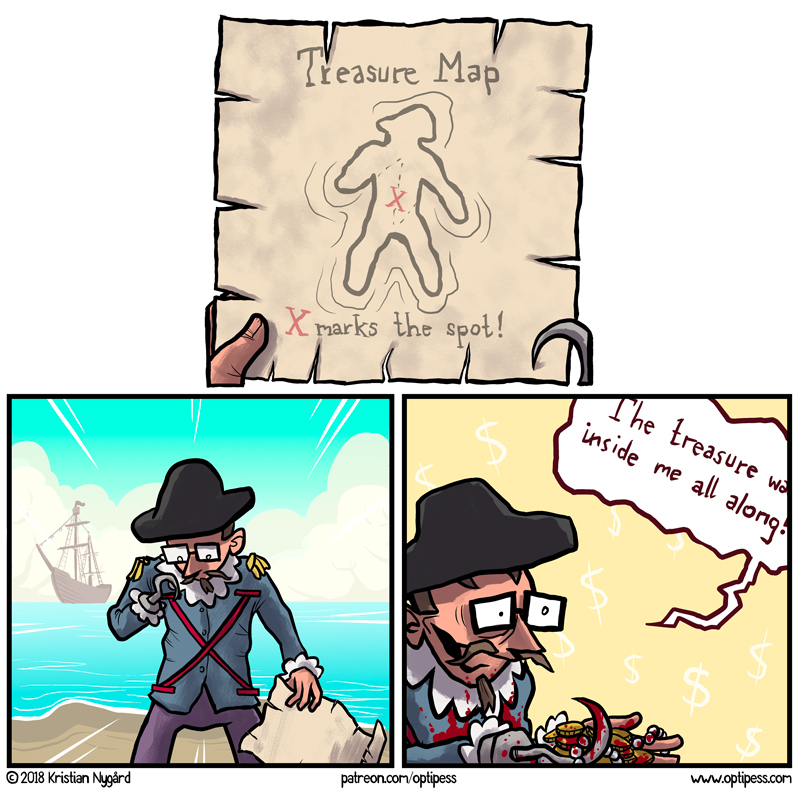 It’s a pirate comic of some sort! This one took me ages to draw. Hopefully you’ll enjoy it! I went bowling yesterday with people from work, so I dug up this thematically appropriate strip for today — which also is a completely accurate portrayal of how it turned out. That is, rather miserable.